"This guacamole is served with warm, crunchy tortillas. I love how simple and satisfying something like guacamole can be. 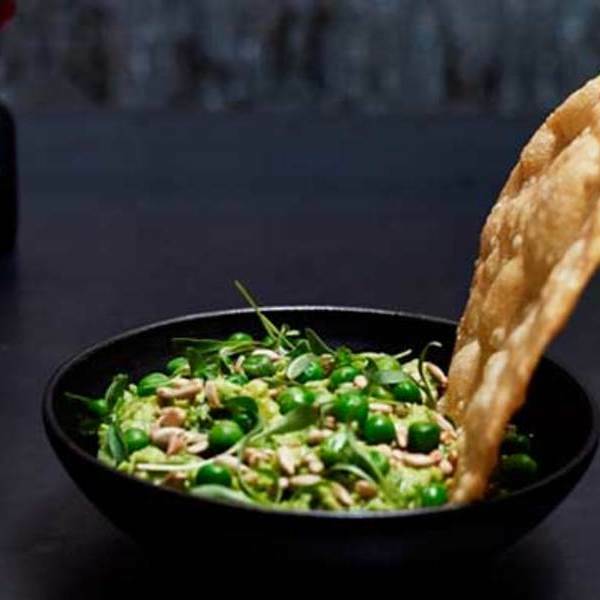 With the addition of spring peas, it's a delicious twist on the traditional."